being little • bristol uk fashion & lifestyle blog. : tickle me pink. Sooooo yesterday, if you follow me on Twitter, Instagram or Facebook, you would've seen that I spent all afternoon at the hairdressers! My friend Mel at Portobello Salon did such a great job of making my hair fun pinky and purply colours! I think when the colour starts to fade, I might get it a little lighter and have a little snip too! I'm loving my new summery look, and I LOVE how well it goes with my Crown and Glory bandeau!! What do you think of my new look? Are you tempted to dye your hair candy colours for the summer? I'm thinking about getting a pink dip dye, loving that look right now!! I absolutely love it, really suits you! Wow! Your hair looks lovely!! I get envious whenever I see people with their pretty dyed hair. I'm actually in the process of growing out my natural hair but my gosh do I get tempted to just dye my hair again... ugh, must resist!! p.s. 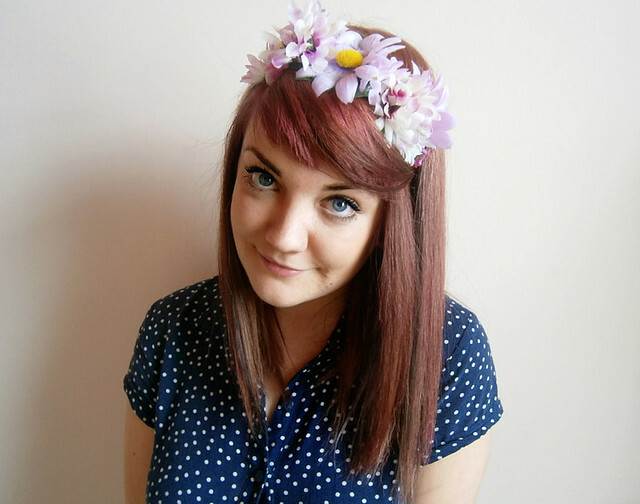 cute flower crown btw! Your hair looks lovely, perfect with the bandeau! I love the new hair and the flowers look adorable! massive fan of the hair! Frigging love the hair lyzi <3 hot! I'm seriously in love with this look on you! It's so trendy right now to have cotton candy colored hair but it looks really, really great on you; you just look as though you were meant to have this color. I'm kind of in love with you now, sorry. Oh wow you look amazing, this suits you perfectly! you are ridiculously adorable here! your hair!!! eee... so pretty!!! In love with your hair!!! I was literally about to buy that dress today until I realised I had like two minutes to get to my train! gutted!! It looks really lovely on you!! 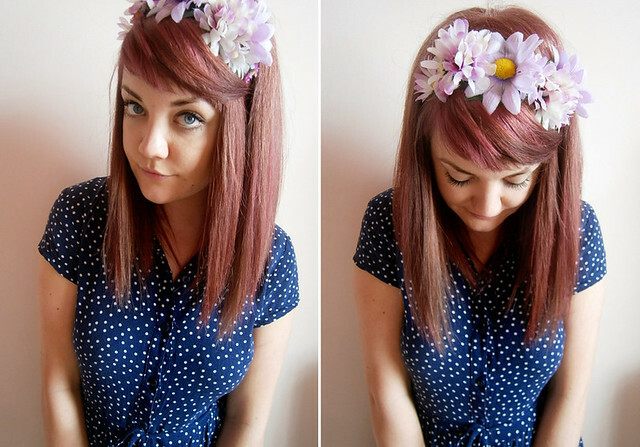 Its making me feel tempted to dye my hair this colour. Hey hun, love your blog! If you fancied doing something a little different and random, just thought we'd let you know, we tagged you in a questions tag on our blog. We were sent the tag from another blogger and thought it might be fun.